I’m excited to announce that this GoFundMe Page will now be run by K9’s of Valor, instead of me personally. K9’s of Valor are a wonderful non-profit, 100% volunteer run organization who raise funds to provide field trauma kits and Narcan kits for working K9’s. If the offer is denied for the financial offer to purchase and replace Jester, K9’s of Valor will use the money raised to help a police department purchase a K9 they so desperately need. We understand that you donated your money in order to reunite Jester and Jordan, so if you don’t want your money used to purchase a new K9 for a department in need, we would be happy to refund you, upon request. In the event that we are unsuccessful and then donated money is used to purchase a K9 for another police department, K9’s of Valor will ensure that a contract is drawn up to state that if for any reason the officer and their K9 split up, they will need to be notified and will make the call on where the dog goes, so this situation does not happen in the future. 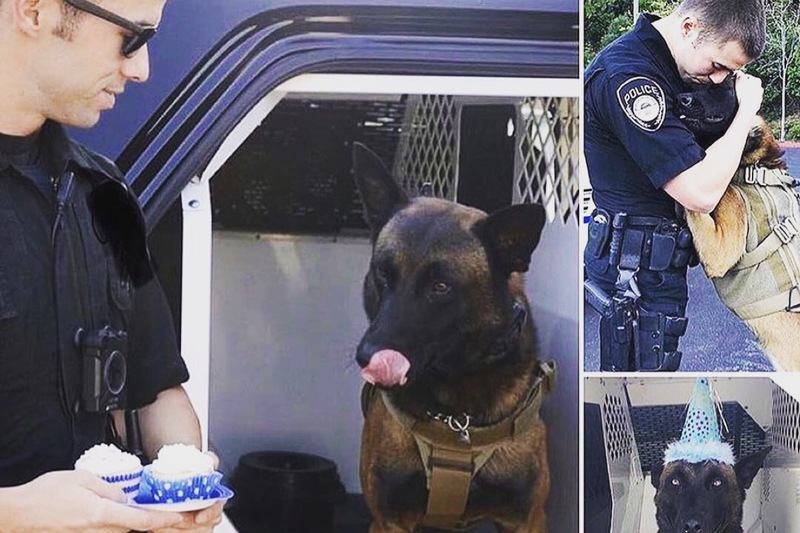 If it comes down to it and Jordan and Jester are unable to be reunited, K9’s of Valor will send out regular updates, pictures and videos in the process of which Police Department receives the help from your donations, and about the K9. K9’s of Valor helps with K9 officers across the country with essential and life saving supplies needed. Please check out the links provided below to learn more about the good work that they do. We wanted to let you know that we have not given up on reuniting Jester. The group is currently working on another option but is taking time putting everything together. However, more details will be released soon. All of your support and pressure to the city including media attention, allowed Jester to get out of the animal shelter quickly and we can't thank you all enough for not giving up hope in reuniting Jester. We will have another update soon. If you have any questions at all do not hesitate to reach out to us. Thank you for all of the support. On January 10th, 2016, after the recent loss of K9 Jethro with the Canton, Ohio Police Department the idea behind K9s of Valor was launched. The sole mission was to do anything in my power to help police K9s stay safe. At first, the vision was to make sure our local police dogs had trauma and first aid kits to keep them safe. Very quickly, our mission spread to help K9s across the country and has allowed us to assist well over 300 K9 officers with that number growing every day. We have been able to help provide first aid kits, trauma kits, Narcan overdose reversal kits, care packages, essential supplies and heat alarm sensors because of the amazing support from all of you. Although, we have grown tremendously, our mission remains the same. We are solely here for the protection of our law enforcement heroes and will do anything in our power to help ensure they have the proper equipment and care they need and deserve. We have been inundated with messages every day from K9 Jester supporters from nearly every state, concerned about the welfare of Jester. Although, it is not uncommon for K9s to be trained with another handler in the event their current handler leaves the agency, transfers departments or retires, we would much rather the K9 stay with his partner but realize this does not happen in every case. 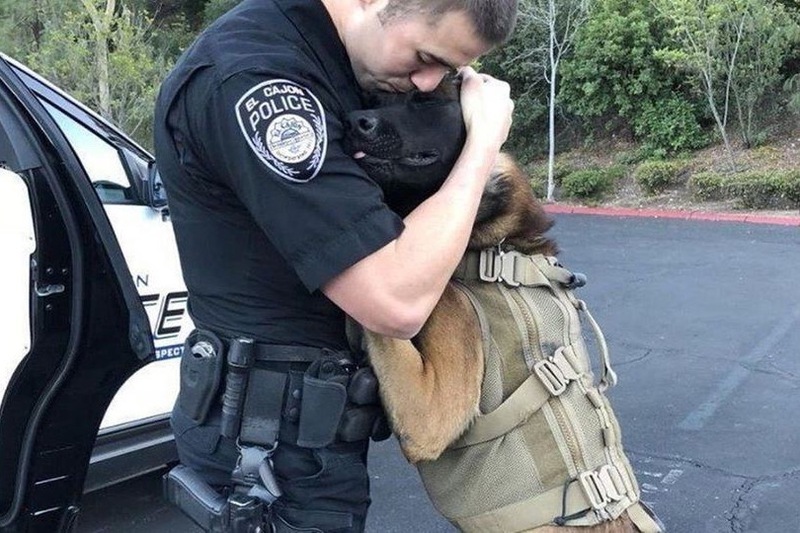 K9 Jester and Officer Walker captured the hearts of millions of supporters around the country by showing their incredible partnership together. We heard you loud and clear. We have been working behind the scenes to find out as much information as we could about Jester. 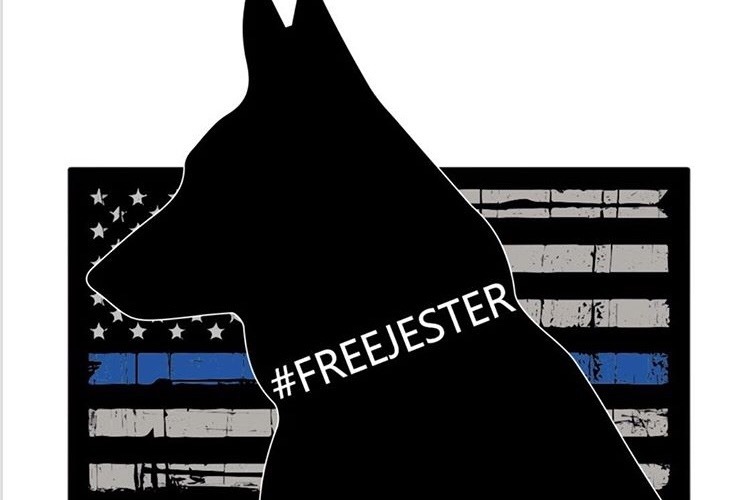 We have spoken with the city, the handler, media and a group of supporters working tirelessly to help bring awareness to having Jester come home. We want to provide you with the information that we have found. Based on our understanding and discussion, the city’s position is that K9 Jester is like an all star quarterback. One that they do not want give up or “trade” even if it were for two K9s because he is a top K9 in the area. It was the handlers decision to leave the department and K9 Jester must continue being a police K9. If the K9 went home with Officer Walker, K9 Jester would no longer be a working K9. Since this happened, K9 Jester has been newly partnered with Officer Gray. They are still in the training process and will begin a K9 academy next month. This is the information provided by the city, not our opinion. Per our conversation with the city manager, K9 Jester is currently at the animal control shelter until a kennel can be built at the new handlers residence. The city advised us that it is a state of the art facility with air conditioning. K9 Jester is being visited 5-6 times a day by his handler. A local reporter, Steve Price, attempted to get a tour of the animal shelter and an on camera interview with the city manager but both requests were denied. We realize that everybody is going to have their own opinion but we want you to have the information we found to form your own opinion and either take steps to assist with the campaign to bring Jester home or accept their decision to keep Jester with the department. If you are not happy with this decision, we are going to provide you with the resources below to help with bringing K9 Jester home. 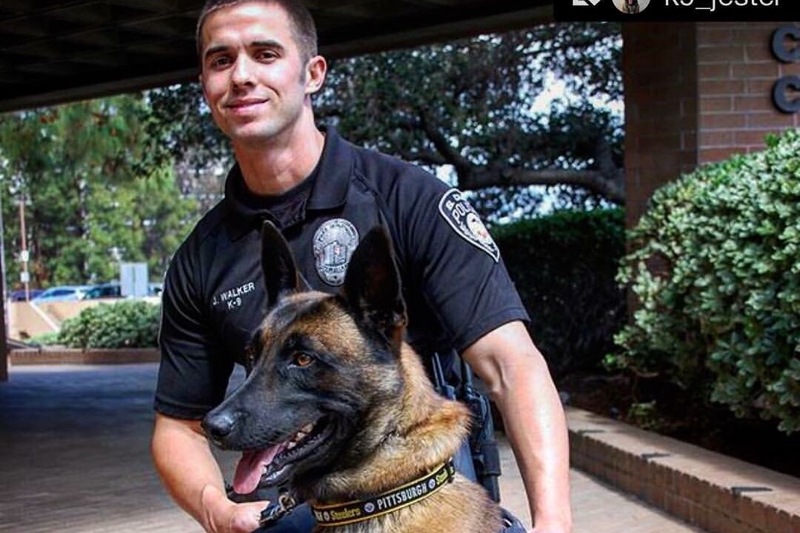 There is currently a petition with over 157,000 signatures to bring Jester back home to Officer Walker and a GoFundMe to offer to the city for a replacement K9. The GoFundMe was created by a group of supporters including Tactical Treats working tirelessly to bring Jester home. Our organization was selected to be the beneficiary of the funds raised if the city refuses the offer. The original group that started the GoFundMe page was required to turn it over to a 501c3 nonprofit organization and they chose our organization since we have been working on this situation, this all was approved by GoFundMe. In the event the city denies the proposal, 100% of the money would be used to assist a police department with little to no funding to create a new K9 program and will allow us to donate a trained police dog to them or you can request a refund from GoFundMe. There is a plan in place with more details to be released soon as a written proposal to the city by the group that started this page, including Gianna/Tactical Treats. The current goal is $10,000 to make that plan possible, and they are just shy of $2,000. While the transfer was taking place for the GoFundMe page to be changed from my name to K9’s of Valor, I was required to update the page with the information that in case the funds are not accepted to pair Jester and Jordan, that the funds would be used for a department in need of a K9 and if the donors would like, and at that time the donors can request a refund. I would like to stress that the funds being donated are still for the original purpose of bringing Jester and Jordan back together. Please keep the faith and positivity strong! We really need your help!! The city is starting to really feel the heat. Please help us in reaching our goal by the end of this month. Please be kind and help us spread the word by sharing this news story and our GoFundMe page. K9’s of Valor will be posting an update shortly. Please be on the lookout for it.